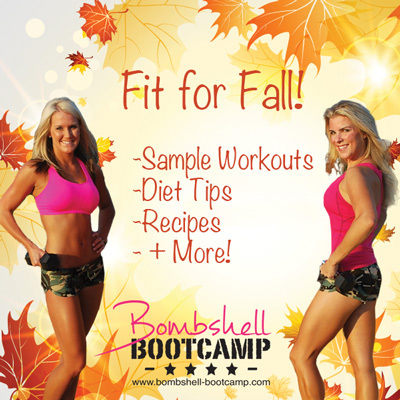 We are planning to share some of our own tasty recipes as part of our Fit For Fall Series! However, this first recipe was actually stolen from Trader Joe’s! I came across this recipe on their website last week and decided to give it a try since it’s easy to make and is a pretty “clean” side dish with simple ingredients. If you don’t have a Trader Joe’s near you, you can still get these ingredients at your local store. 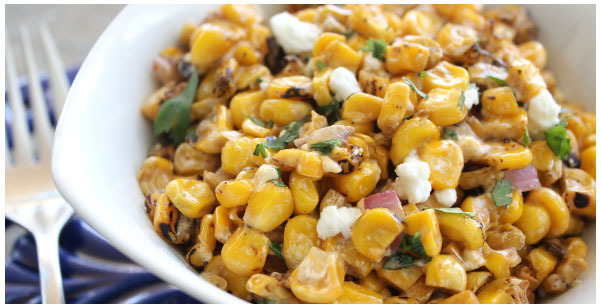 The recipe does taste best with roasted corm, so I would just buy a couple of ears and grill them inside and then remove the kernels for the recipe. If you don’t feel like grilling – you can just use a bag of regular corn….just make sure it’s only corn and doesn’t have any added ingredients. You can also reduce the fat by using non-stick cooking spray vs. butter and a little less feta cheese (although feta is one of the lower-calorie cheeses to begin with). Melt butter in a large frying pan. Saute diced onion for 2-3 minutes until it softens. Add frozen corn and heat 6-7 minutes, until warm. Chop half of the package of feta into small crumbles, it should be about 1 cup. Add feta, cilantro, cayenne pepper and the juice of two limes, to the corn and stir. Add pepper to taste. Serve warm.